The Weinstein Company (TWC) has sacked its co-founder Harvey Weinstein following multiple allegations of sexual harassment against the Hollywood producer. 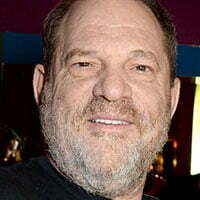 Weinstein announced last week that he would be taking a voluntarily leave of absence from TWC after the New York Times published an exposé of his alleged sexual misconduct towards women in Hollywood spanning three decades. TWC’s board initially endorsed Weinstein’s decision to take leave but went further on Sunday by announcing his sacking. Robert Weinstein, Harvey’s younger brother and co-chairman, has stepped in with chief operating officer David Glasser to run TWC until a replacement is made, with Glasser tipped as the mostly likely appointment. Meanwhile, TWC is considering changing its name following the scandal, according to US reports. Known for feature films such as Pulp Fiction and Gangs of New York, the company is currently in production on numerous big-budget TV projects, including an adaptation of Les Misérables with the BBC, which Harvey Weinstein was executive producing. Its TV arm, which has produced dramas such as War & Peace and is also making a doc about the killing of Trayvon Martin with rapper Jay Z, was linked to a buy-out from ITV in 2015, but the deal fell apart.